XS420 has been moved on several occasions which has meant the wings have been cut. As can be seen below the repair has been undertaken using small sections of aluminium. 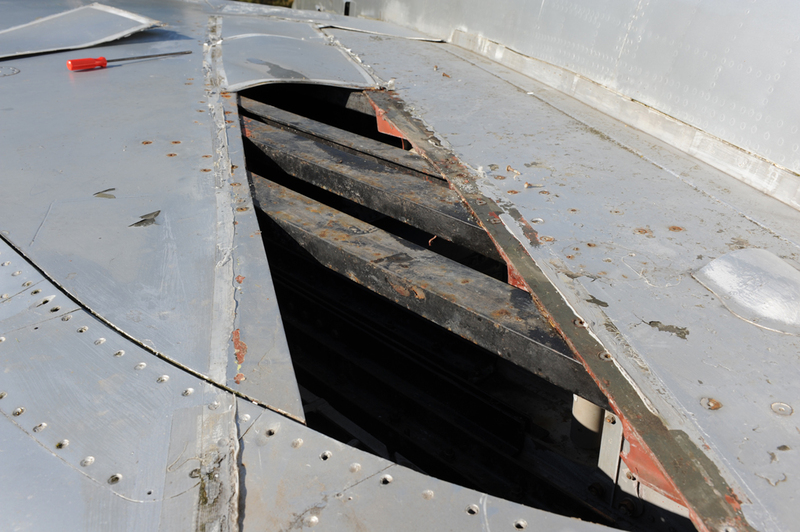 The intention is to replace these sections with one continuous piece of aluminium. After this is done repainting of the affected areas will be undertaken. 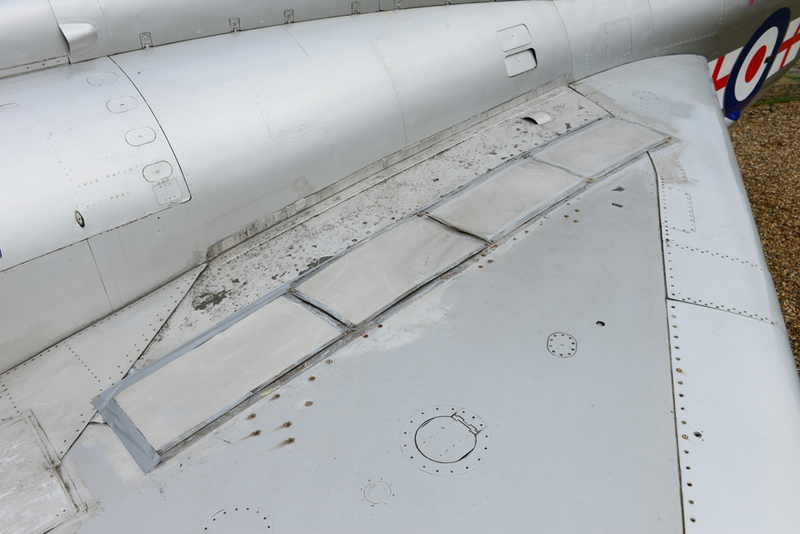 The panels have been removed on the Starboard side of the aircraft to see what lay underneath. 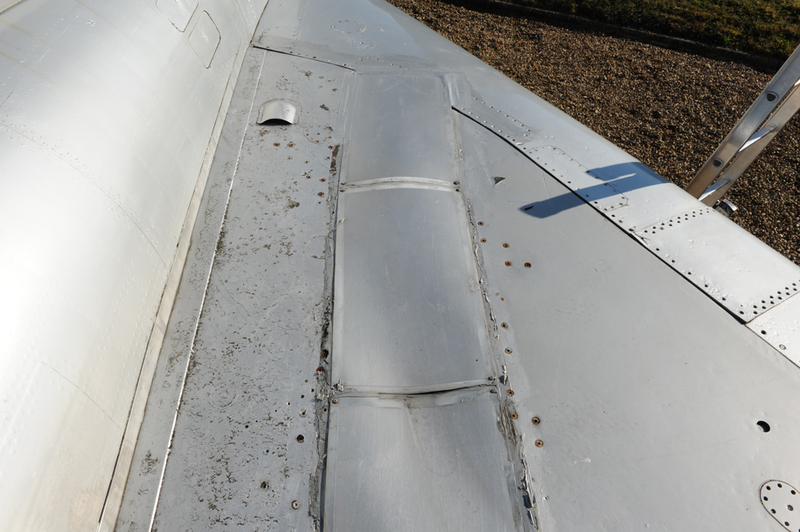 Surprisingly the area of wing section was dry with no visible corrosion. The panels have now been put back in place until a more permanent repair can be undertaken. 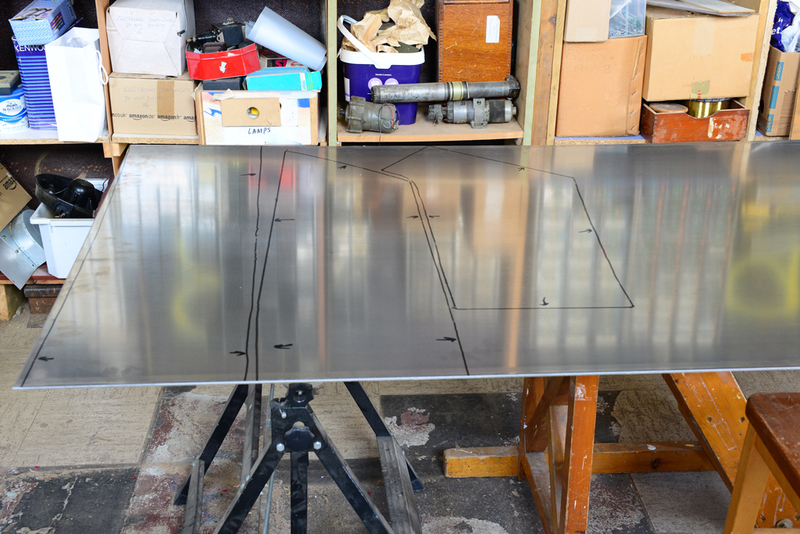 It was decided that the new wing panels would be cut from 5mm aluminium. A sheet of metal was obtained measuring 2m by 1m and transported to FAST. Templates were made using rigid cardboard and their shape drawn onto the sheet metal. The panels were then cut using a jigsaw and filed to shape so that they fitted flush within the wing cuts. 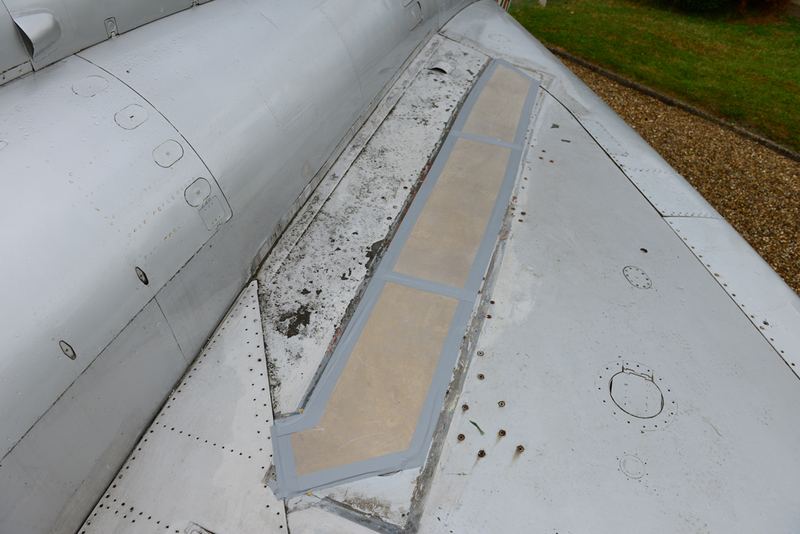 Once fitted the panels were drilled, tapped and secured using 2BA screws. Further work is now required to seal the panels and then the area will be sanded down and painted. Below shows before and after photographs of the work undertaken. 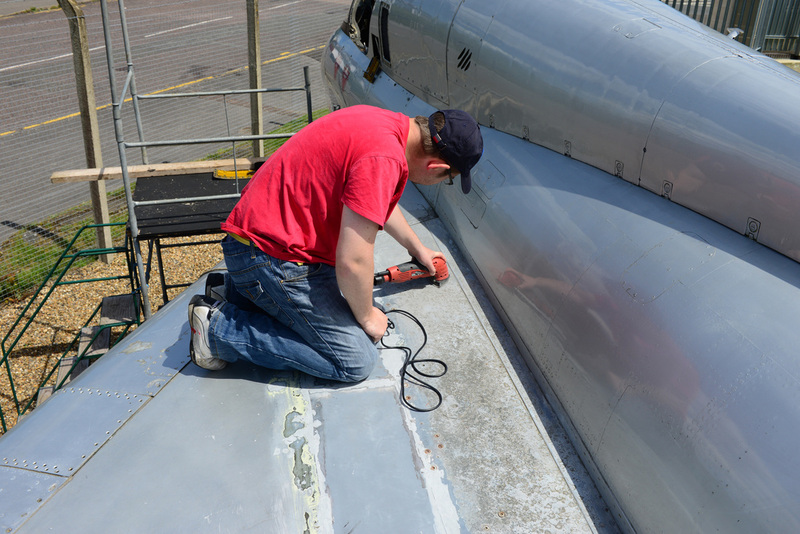 With the better weather coming in June 2014, work has started now started again on restoration of the wings. Below we see Paul Tuininga sanding down many layers of old paint to allow for repainting.